Meet the Hamilton Port Authority’s Board of Directors Our seven-member Board of Directors oversees the management and operation of the Port of Hamilton. Chosen for their extensive business and professional experience, members are appointed for three-year terms by harbour users and all three levels of government. Robert was appointed to the Board of Directors on June 18, 2015 for a three year term. Bob is the former Vice-President, Manufacturing, with Arcelor Mittal Dofasco. His 37-year career in operations management included 25 years in primary steelmaking. In addition to his role with the Hamilton Port Authority, Bob is the current chair of the board of the Hamilton Philharmonic Orchestra. He is a member of the board of directors of the Hamilton Community Foundation and has volunteered in a fundraising capacity for the Bruce Trail Conservancy. Past board positions have included the Association for Iron and Steel Technology (AIST) (U.S.A.) and the Iron and Steel Society (ISS) (U.S.A.). Bob graduated from Queen’s University with a B. Applied Science (Metallurgical) in 1975. In 1981 he earned an MBA from McMaster University. Kathy was appointed to the Board of Directors on June 18, 2015 for a three year term. Kathy has a thirty-plus year career as a senior healthcare professional in financial and clinical information management. She is a proven leader in a multi-site teaching hospital demonstrating strong management skills, effective interpersonal, communication and mentoring skills. She has a profound ability to vision and bring vision to reality. She has a passion for recruiting and retaining the best and the brightest. Works well with all staff in an environment of openness and trust delivering value add financial and information support. Kathy retired in December 2014 but previously was the Vice President of Finance and CFO for Hamilton Health Sciences since July 2007. She has a Bachelor of Commerce from McMaster University and an Executive MBA from Queens University. Kathy has been a Board member for the North Hamilton Community Health Centre for 10 years where she has served as Treasurer and Chair. 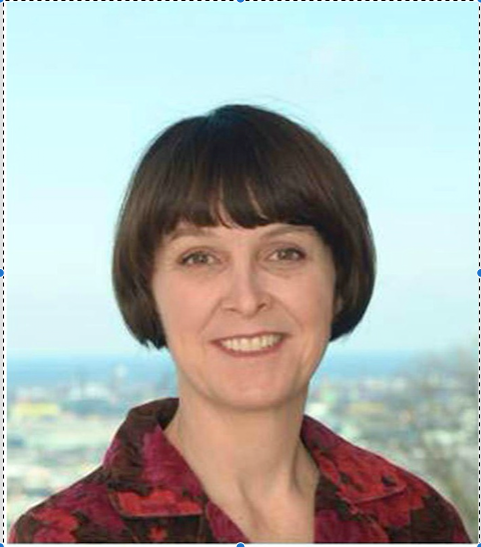 In addition she is a Board member for the Institute Clinical Evaluative Sciences (ICES) in Toronto Ontario. In her spare time she enjoys golf and is an avid reader. Jim Howlett was appointed to the Board of Directors on February 14, 2018. Jim is a lifetime Hamiltonian who has served on a wide variety of councils and boards since the 1980s. These include the International Joint Commission to the Great Lakes, several community councils and non-profit groups, and also as a tribunal judge for the Province of Ontario in his capacity as Chair of the Hamilton Source Protection Authority, and Hamilton Conservation Authority. He and his wife, Carol, also operate a 100 acre farm. Jim retired from business in 2011 and today works as a freelance writer and radio producer on the Hamilton Beach Strip. Anne Waldes was appointed to the Board of Directors on July 8, 2018 for a three year term. Anne brings more than 35 years progressive management experience in international logistics and global freight transportation and is at the forefront of developing innovative supply chain solutions for clients with the most complex logistics challenges. In her current role as President and CEO of Trade Link International Ltd., which she founded in 1993, Anne creates bottom line impact for global clients in diverse sectors by optimizing entire supply chains, including elements of logistics management, inventory control, product sequencing, overseas site selection, multi-modal transportation and international trade-related procedures. Prior to founding Trade Link, Anne held senior leadership roles with international transportation and steamship lines. Anne is Director and past President of the Hong Kong Canadian Business Association, a Director and board member of Chartered Institute of Logistics and Transportation and regular invited guest speaker on logistics and supply chain themes at transportation conferences and events. A proven dynamic leader with natural strategic instincts, Anne is passionate about logistics transformation approaches that achieve both short-term impact and long-term sustainability. Dr. Meghan Davis was appointed to the Board of Directors on July 8, 2018 for a three year term. Meghan has lived and worked in Hamilton for over 20 years. 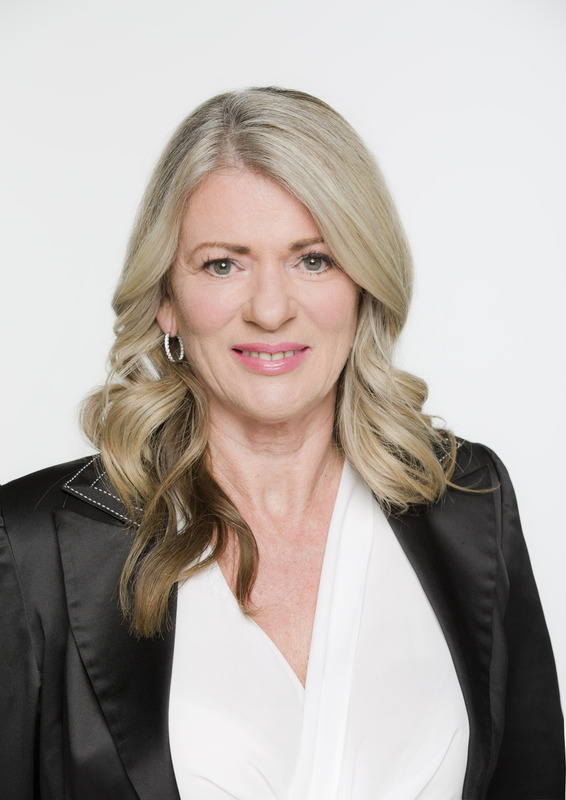 She has practiced as a family physician since 1994 and sits on the board of directors and ethics committee of the Hamilton Family Health Team. Meghan is passionate about proactive healthcare and wellness and its wider impact in the community. She recently completed the Advanced Health Leadership program through Rotman School of Management, University of Toronto to enhance her understanding in the areas of change management, governance, emotional and political intelligence and Integrative Thinking. Since 2013 she has been the medical lead of the Screen For Life mobile cancer screening coach and from 2015 she has also been Cancer Care Ontario’s regional primary care lead. She is an Assistant Clinical Professor in the Department of Family Medicine at McMaster, where she graduated from medical school in 1992 and previously in Chemical Engineering in 1986. Meghan is a mother of two university aged daughters and is an active user of the port area through rowing, biking and hiking. David Bradley – Provincial Government Appointment. David Bradley was appointed to the Board of Directors on February 25, 2019 for a three year term. 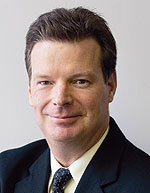 David Bradley has been a fixture in the transportation industry in Ontario and Canada for over three decades. During most of that time he held the dual role of President and CEO of both the Ontario Trucking Association and the Canadian Trucking Alliance where he played a leadership role in the introduction of numerous regulatory and policy initiatives aimed at enhancing public safety, sustainability, border security, trade facilitation, infrastructure investment and competitiveness. Most notably he the lead proponent for the introduction of the mandatory activation of speed limiters on all trucks and mandatory entry level training for commercial drivers. He was also the lead business voice in Canada for the construction of a new second crossing at Windsor-Detroit and is credited with coming up with the name “the Gordie Howe International Bridge,” (something he is very proud of). During his career, he has been named the Ontario Transportation Person of the Year and is a recipient of the Ontario Ministry of Transportation’s Road Safety Partnership Award and the OTA Service to Industry Award. He is a fellow of the Canadian Institute of Logistics and Transportation. Earlier in his career, David worked for a major management consulting firm and was a financial markets economist with one of Canada’s chartered banks. Since retiring from OTA/CTA in 2017, David was appointed to the Board of Directors of Titanium Transportation, a publicly traded transportation company serving the Canadian and US markets. He also serves on the Board of Directors of Prostate Cancer Canada and the organizing committee of Veterans’ Golf Day. David holds a Master of Arts degree in economics from Queen’s University and a BA, also in economics, from the University of Toronto. David and his wife have three grown children and reside in Burlington, Ontario.